The GP.2 Youth is a fantastic choice for young racers who demand great styling, superior features, light weight and excellent fit in a smaller configuration. 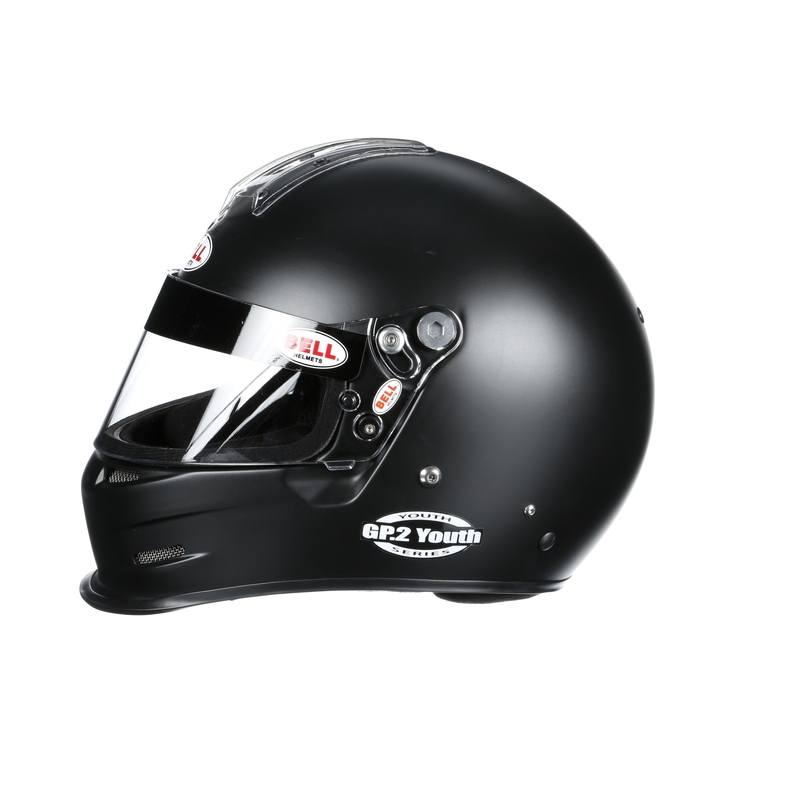 The GP.2 Youth is built specifically for children and younger racers who need a youth helmet that is fire retardant. 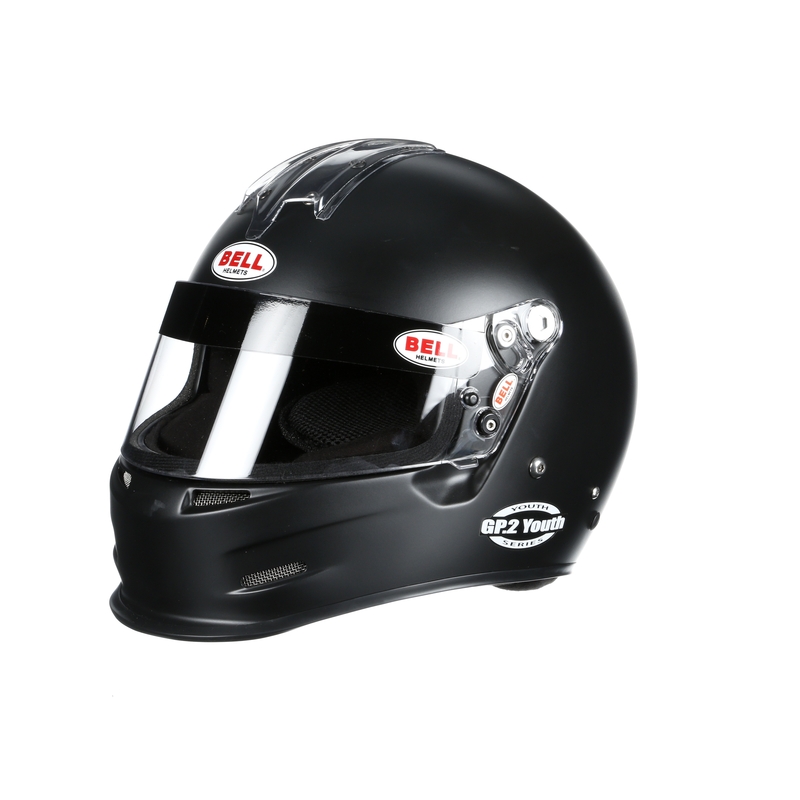 The SFI 24.1 (2015) certified GP.2 Youth incorporates the same advanced technology, styling, protection and features developed for Bell’s line of professional racing helmets. The SFI Youth Standard is recognized and accepted by racing and karting organizations including the Quarter Midget Association of America (QMA). Direct Flow Chin Bar Ventilation and Air Intake To Maximize Ventilation. Removable / Replaceable Cheek Pad and Fit Pad System. Pro-Style, Multi Foam Density Interior with Contoured Cheek Pads for Secure Fit. 287 3MM SRV Shield (SRV-1 Pivot System). SFI 24.1 (2015) Youth approved. 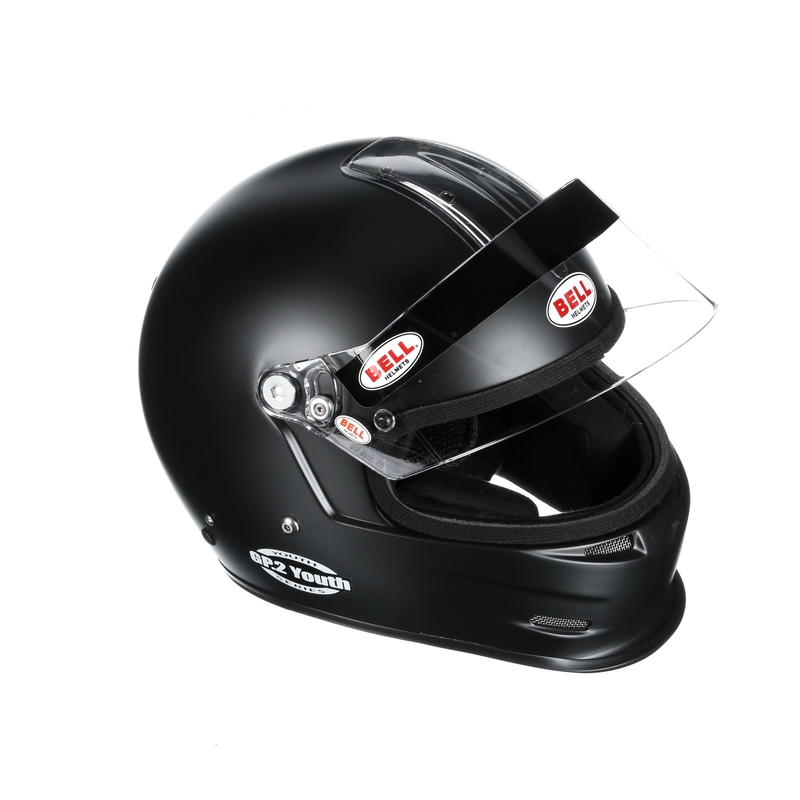 Takes Racing Optics 10208C (ROP10208C) Tear Offs.